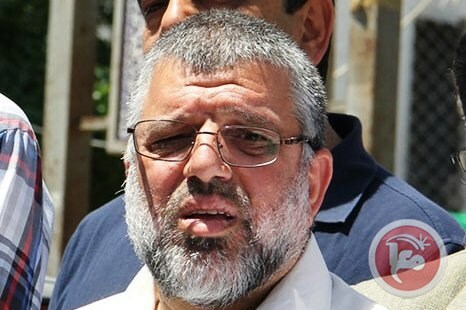 Israeli authorities have extended the administrative detention of legislative council member and Hamas leader Hassan Yousif for an additional six months, a Hamas-affiliated parliamentary bloc told Ma'an Friday. 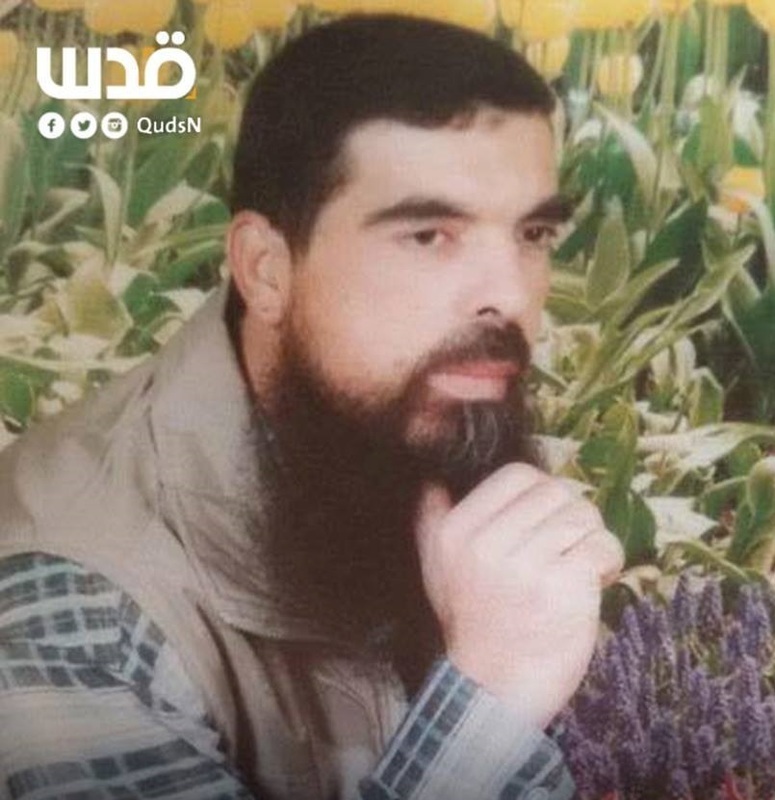 Yousif, also known as Hassan Salamah, 60, was detained after Israeli forces raided his house in Beituniya on October 20, three months after being released from a previous year-long detention for incitement against the Israeli occupation. 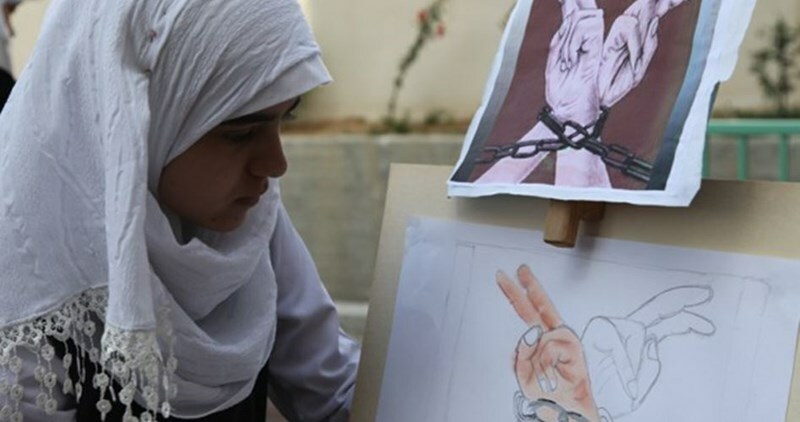 This is the fourth time that Salamah has been in administrative detention -- internment without trial or charge. Leading British MPs, from all parties, have signed a parliamentary motion calling on the Israeli parliament to release the Palestinian MP Marwan Barghouthi who has been in jail continuously for the last 14 years. According to the PNN, these leading British MPs have cited the precedent of South Africa, where Nelson Mandela was released from prison so he could take part in negotiations for majority rule, and India, where Gandhi and Nehru were released by the British so they could take part in negotiations for independence. The MPs point out that Barghouthi, now 56, “is still the candidate in the strongest position to win a presidential election to succeed Mahmoud Abbas, according to a recent poll by the Palestinian Centre for Policy and Survey Research”. The British parliamentary motion was tabled by Tommy Sheppard of the Scottish National Party and its signatories include the Conservative chairman of the Foreign Affairs Committee, Crispin Blunt, and the current Father of the House of Commons Sir Gerald Kaufman. Marwan Barghouthi is seen as one of the few political leaders who could unite the country, winning support from both Fateh and Hamas, and who would have the moral authority to negotiate on behalf of all Palestinians and to preside over a process of “truth and reconciliation” in a newly independent state. He has often been called the “Mandela of Palestine”, and there are certainly many parallels, both in his life so far and in the role he could play in a newly independent Palestine. He has spent a total of 20 years inside Israeli prisons and he has been for many years now in Cell 28 in Hadarim prison, a few miles from the Meditarranean beaches of Netanya. He has regular visits from his wife Fadwa, but is allowed very little other contact with the outside world. Yet, he still plays an important role and the occasional statements smuggled out of prison carry a great deal of authority. Eight winners of the Nobel peace prize have signed the “Robben Island Declaration”, calling for his release, including President Jimmy Carter and Archbishop Desmond Tutu and the Argentinian Nobel laureate Adolfo Esquivel has nominated him for the Nobel peace prize this year. Barghouthi was an MP and the general secretary of Fateh during the Second Intifada, when he was abducted in broad daylight, on the streets of Ramallah, by Israeli secret service agents dressed as ambulance workers, and taken to Israel. He refused to plead to an Israeli court on the basis that both his abduction and the trial were illegal and was duly found guilty of the deaths of five Israelis in military operations carried out by an armed wing of Fateh, known as “Tanzim”. According to the British MP’s press release, however, the campaign for his release, and for the release of all the 6,204 Palestinian conflict-related prisoners currently held in Israeli jails, is not based on an argument about the innocence or guilt of individual prisoners or the legality of their trials, but on the argument – in the case of Marwan Barghouthi and other political leaders – that their release is necessary for the process of negotiation leading to a peace settlement, and in other cases on the argument that the release of political prisoners must necessarily precede a political solution. Two Palestinian teenagers turned themselves in on Friday to Israel’s al-Ramla prison after spending nine months under house arrest, said the head of the Jerusalem Detainees and Prisoners' Families organization. Noor al-Din Marwan Abu Hadwan, 17, and Saif Ayed al-Tawil, 16, turned themselves in to al-Ramla prison accompanied by their parents following a decision Thursday by the Israeli central court judge in preparation for their court session to be held in the coming days, he added. Noor and Saif were first detained alongside 10 other youth from the neighborhood of Beit Hanina north of occupied East Jerusalem at the end of June last year for throwing rocks. They were released on bail two weeks after their initial detention, put under house arrest, and banned from attending school. 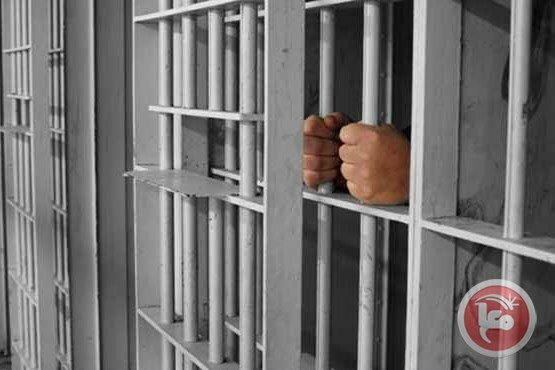 A recent court ruling sentenced the teens to actual prison sentences. Four of the detained -- including Saif’s brother Zayid, 17 -- turned themselves in Sunday after being sentenced for periods between 12 to 39 months in prison. The organization told Ma’an Sunday that some 129 Palestinians held in Israeli prisons are minors from occupied East Jerusalem. He said this number included five young girls and six under the age of 14 held in juvenile detention centers. 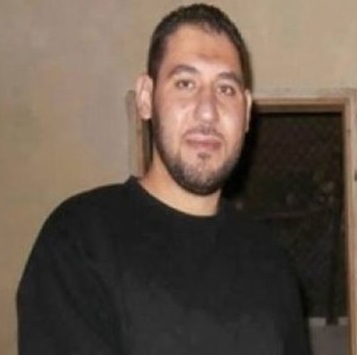 The Israeli prison authority has transferred administrative detainee Adeeb Mafarja from Negev jail to an isolation cell in Ela prison in Beersheba to pressure him into ending his hunger strike. Mafarja, who has been on hunger strike for about 13 days, suffers from very poor incarceration conditions, according to his wife. The wife told the Palestinian Prisoners Center for Studies that her husband is deprived of having any piece of clothing other than the ones he was wearing when his lawyer recently visited him, and provided in his isolation cell with a very slim mattress and two dirty tattered blankets. She affirmed that despite his declining health condition, her husband is determined to go on with his hunger strike until he obtains his freedom. 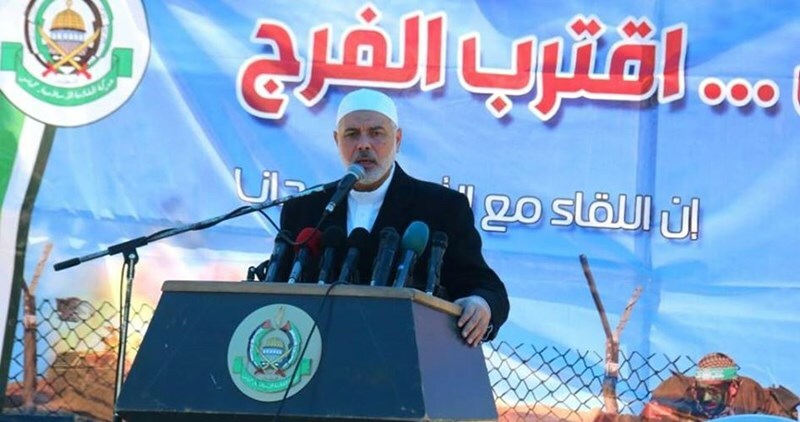 Deputy head of Hamas's political bureau Ismail Haneyya has renewed his call on al-Qassam Brigades, the armed wing of Hamas, to extract the freedom of Palestinian prisoners in Israeli jails. This came in the Friday khutba (sermon) which he delivered during a sit-in held in solidarity with the prisoners outside the Red Cross headquarters. Haneyya also said that the Hamas leadership would work side by side with the captors of Israeli soldiers and help them seal an honorable prisoner swap deal. The Hamas official hailed the armed wing of Hamas for their adherence to the national principles and constants, stressing that the issue of prisoners would remain a priority for the Movement. The Arab League on Thursday called for internationalizing the issue of Palestinian prisoners in Israeli jails and using all possible and legitimate means to put an end to their persistent suffering. This came in a statement released by the division of Palestine and the occupied Arab territories at the Arab League on the occasion of the Palestinian Prisoner Day, which falls on April 17. "The issue of Arab prisoners and detainees in the jails of the Israeli occupation will continue to be at the forefront of the issues that we concern about until all of them are released," the Arab League stated. 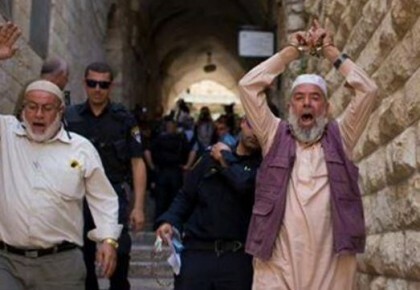 According to Quds Press, the Arab League urged the international community and their organizations to pressure Israel to release all Arab and Palestinian prisoners and detainees in its jails and to respect the international law in this regard. It also called on the international competent bodies to follow up Israel's violations against the prisoners. Its statement pointed to the presence of about 7,000 prisoners in Israeli jails, over 700 of them are administratively detained without due process. There are also 480 children and minors, 68 women, and six lawmakers in different prisons and detention centers, the statement added. The Palestinian prisoner Sami Janazra has been on hunger strike for 43 days in protest against his administrative detention, the Palestinian Prisoner Society (PPS) said. Janazra, who is currently held in Negev prison, suffers from frequent fainting and severe weight-loss as he became unable to move or to walk, the PPS added. Despite his difficult health situation, the Israeli prison administration continues to refuse his transfer to hospital and kept him behind bars. Israeli Ofer court has earlier refused an appeal submitted by Janazra against his administrative detention which made him declare an open hunger strike. 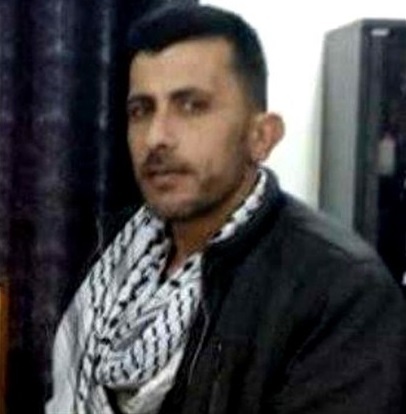 Janazra, 43, spent seven years in Israeli jails in separate arrests; most recently was on Nov. 15, 2015 where he was moved to administrative detention. Meanwhile, Palestinian Women's Studies Association organized Thursday a sit-in outside the Red Cross headquarters in Gaza in solidarity with Palestinian prisoners in Israeli jails. Head of the association Mariem Abu Daqa said that the main support for the prisoners’ issue is backing the ongoing Jerusalem Intifada by all possible means, ending internal division, and declaring a national unity based on resistance strategy. The event was also meant to coincide with the Palestinians and the free world preparations for the Palestinian Prisoner Day on April 17, a day in solidarity with thousands of Palestinian political prisoners and demanding their freedom from Israeli jails. Five Palestinian young men and one Israeli soldier suffered injuries during violent clashes on Thursday afternoon in al-Aroub refugee camp, north of al-Khalil city. Local sources said that a large number of Israeli troops stormed the camp and embarked on intensively firing bullets and tear gas grenades at homes and citizens, which led to the injury of five young men. Israeli soldiers also physically assaulted a bus driver at the entrance of the camp and rounded him up. One Israeli soldier was injured during violent events in the camp, according to Israel's channel 7. The Israeli occupation army closed al-Aroub camp and intensified its presence in nearby areas after soldiers killed a local young man earlier on the same day. Violent clashes broke out in Barta’a town in Jenin to the north of the West Bank on Thursday morning after Israeli Occupation Forces (IOF) demolished two local facilities. Local sources told the PIC reporter that IOF soldiers in ten military vehicles and two bulldozers stormed the town and started the demolition process. 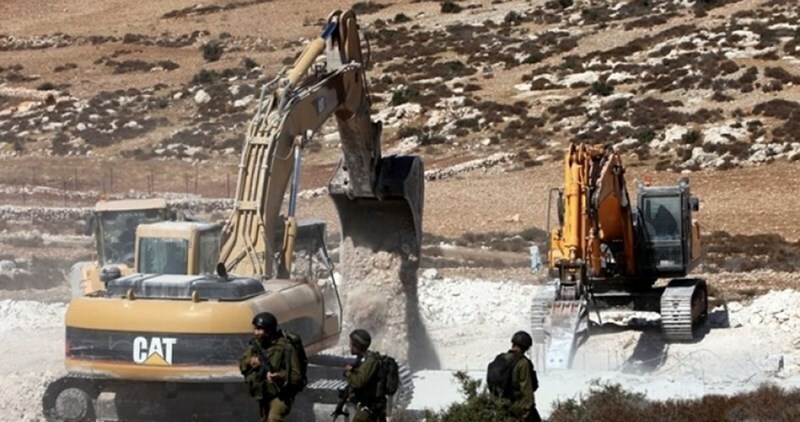 The two agricultural facilities were demolished under the pretext of being built in the Israeli-controlled Area C.
A young man was arrested during the clashes, the sources pointed out. 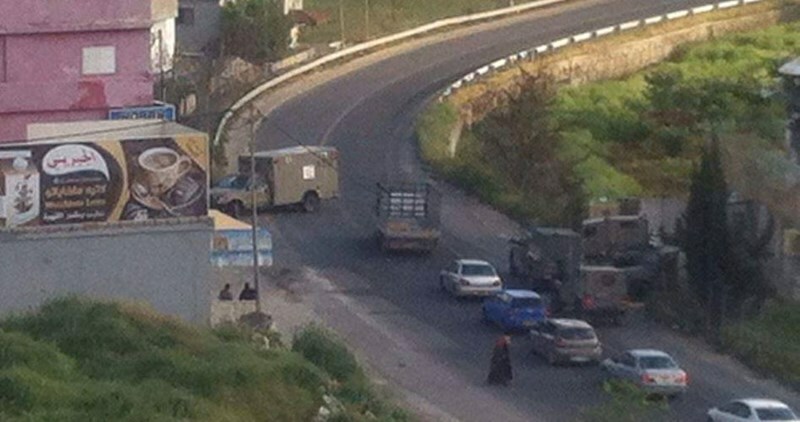 Meanwhile, IOF stormed a number of commercial shops and offices in Beit Ummar town, north of al-Khalil. Local activist Mohamed Awad affirmed that large numbers of Israeli forces broke into the town before storming and searching a number of offices and shops. Electronic equipments were confiscated during the raid. Israeli soldiers invaded, on Thursday evening, Beit Ummar town, north of the southern West Bank city of Hebron, kidnapped one Palestinian and assaulted another, causing various cuts and bruises. Coordinator of the Popular Committee against the Wall and Settlements in Hebron, Mohammad Awad, said the soldiers stopped Khalil Odah al-‘Allami, 16, at a military roadblock near the main entrance of the town, before kidnapping him. 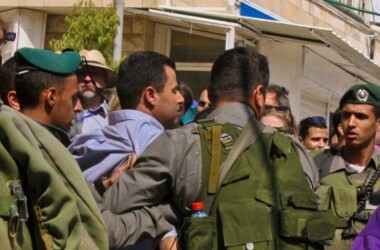 Awad added that the soldiers also stopped and searched many Palestinian cars, and assaulted Raed Ahmad ‘Aadi, 40, causing various cuts and bruises, before detained him. The soldiers later allowed Red Crescent medics to move ‘Aadi to a Palestinian hospital in Hebron. In related news, five residents were injured, on Thursday evening, and many others fired the effects of tear gas inhalation, after Israeli soldiers invaded the al-Arroub refugee camp, north of Hebron. 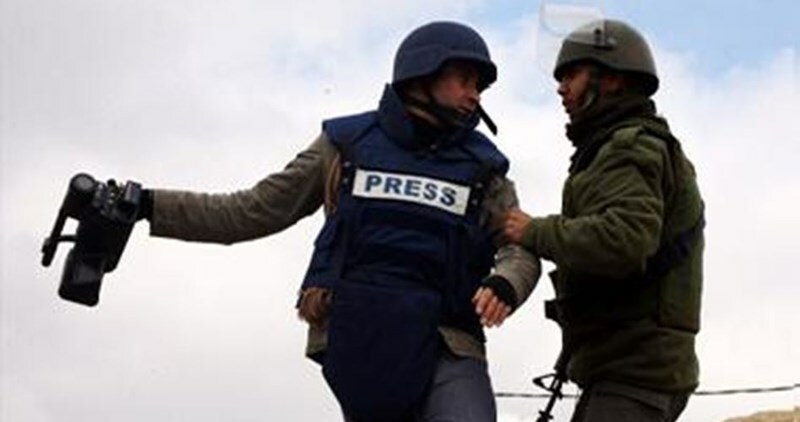 18 Palestinian journalists are being held in Israeli jails, and two of them have been imprisoned during the current month, according to the Palestinian Prisoner Society (PPS). In a press release on Wednesday, the PPS stated that Israeli soldiers kidnapped last Monday photojournalist Hazem Naser at a makeshift checkpoint near Nablus. The Israeli police, in turn, arrested journalist Samah Dweik, who works for al-Quds News Network, on April 10 in Occupied Jerusalem. Journalist Mahmoud Issa is one of those long-time prisoners who have been in detention before the signing of the Oslo accords. He is serving three life sentences in addition to 46 years in jail. Four of those journalists are also administratively detained, with no indictment. The Israeli Prison Service (IPS) moved the representative of Palestinian prisoners in Nafha prison Ahmed al-Khatib to solitary confinement after being attacked and injured two days ago. Palestinian sources affirmed that the IPS closed Nafha prison after tension recently spread among the prisoners after Israeli Special Forces violently stormed section 14 and attacked the prisoners. Israeli forces also stormed on Wednesday morning section 11 in the prison. Earlier Tuesday, dozens of Palestinian prisoners were injured after Israeli Special Forces stormed section 14 in Nafha prison. Several injured prisoners were transferred to Soroka Hospital while others were arbitrarily moved to solitary confinement. 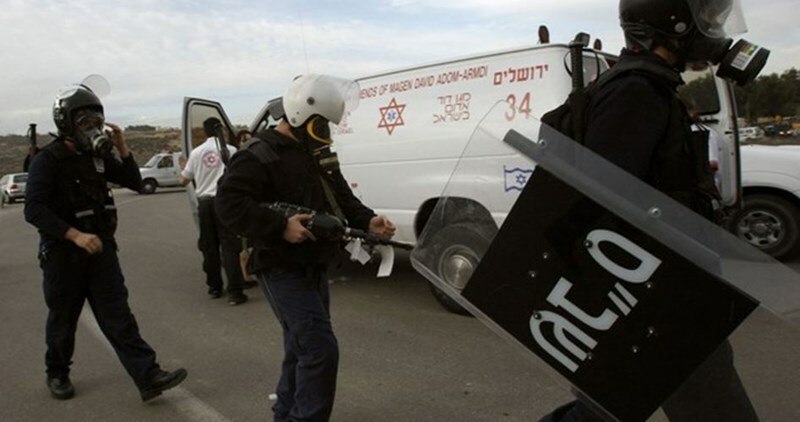 The PA committee for prisoners and ex-prisoners affirmed that large numbers of heavily-armed Israeli Special Forces suddenly and violently stormed section 14 and attacked and sprayed the prisoners with pepper gas. Meanwhile, 35 Palestinian prisoners continued their open hunger strike in solidarity with the isolated prisoner Shukri Khawaja. Khawaja had earlier declared an open hunger strike in protest against his continued isolation since 2014. 16 Palestinian prisoners are currently held in Israeli solitary confinement. Israeli soldiers carried out, late at night Wednesday and on Thursday at dawn, massive invasions and searches of homes and property in different parts of the occupied West Bank, and kidnapped 31 Palestinians, including a child in Bethlehem, and 14 elderly men from Jerusalem. The Palestinian Prisoners’ Society (PPS) said the soldiers kidnapped sixteen Palestinians from Jerusalem, between the ages of 45 and 70, after violently searching their homes, causing excessive damage. It said the soldiers kidnapped Sa’id Awad Samrein, 70, Methqal Fayez al-Qaaq, 70, Omar Abed Samrein, 59, Taher Salah Arafa, 63, Mousa al-Joulani, 63, and Tawfiq Gheith, 60; all from the neighborhoods of ath-Thoury and al-Abbasiyya, Ras al-‘Amoud and the Central Neighborhood in Silwan. Residents Na’im Syouri, 60, Mustafa Mohammad Salfiti, 67, and Omar Hasan, 45, were kidnapped from their homes in Jerusalem’s Old City. The soldiers also kidnapped Nabil Sharif, 70, Adel Abu Ermeila, 68, and Omar Obeido, 60, were kidnapped in Beit Hanina neighborhood. Also in Jerusalem, the soldiers kidnapped Rebhi Ghosha, 63, Wisam Rajabi, 62, Sufian Jadallah, 50, and Akram Shorafa, 45. 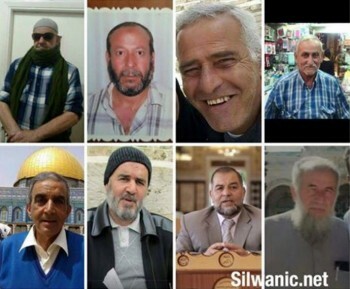 It is worth mentioning that the army have kidnapped 28 Palestinians, between the ages of 50 and 70, in Jerusalem since the beginning of this month. The PPS added that the soldiers also invaded the northern West Bank district of Nablus, and kidnapped six Palestinians, identified as Mohammad Saleh Hamdan, Ahmad Ali al-Haj Ali, Ahmad Ennab, Ahmad Khaled Ja’arim, Anas Hani Hamdi and Mohammad Mirshid Tirawi. 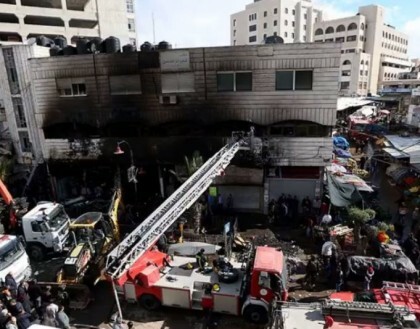 In Ramallah, the soldiers invaded al-Ajouli currency exchange shop, and kidnapped Ghazi al-Ajouli before burning the shop. Another Palestinian, identified as Othman As’ad Thaher, was kidnapped in the nearby town of Ein Seena. 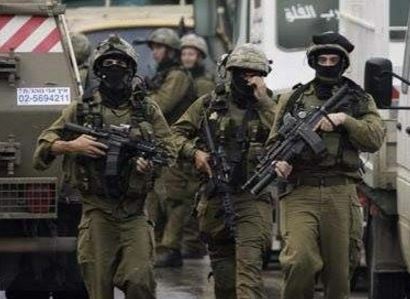 In Hebron, in the southern part of the occupied West Bank, the soldiers kidnapped Mustafa Ismael Safi, 36, Jamal Hussein al-‘Awawda and Ahmad Ishaq Abu Hashhash. In the northern West Bank district of Qalqilia, the soldiers invaded Azzoun town, and kidnapped Mahdi Ahmad Sweidan and Ahmad Jawdat Amjad. In the central West Bank district of Tubas, the soldiers kidnapped one Palestinian, identified as Adham Daraghma. In Bethlehem, the soldiers kidnapped a child, identified as Nouran Balboul, 14, the daughter of Ahmad Balboul, who was assassinated by the Israeli army, along with two other Palestinians, on March 12 2008. On Thursday, the soldiers kidnapped Sheikh Yasser Abu Ghazala, in his sixties, after invading his home in Wadi al-Jouz in occupied Jerusalem, and Sheikh Ibrahim Amira, in his fifties, from his home in Sur Baher village.